Ladies and gentleman this is a one time opportunity. This fabulist plot offers a very neat 3 bedroom face brick tile roof house with 2 bathrooms, large open-plan kitchen, pantry, laundry, dining, TV room and study. It have a spacious office with it's own separate entrance next to the front door that make it very ideal for the business person. It also offers a very nice lapa surrounded by large beautiful trees, green grass and a beautiful garden. The flat-let offers 2 bedrooms, 1 bathroom, kitchen and open plan living rooms. It have it's own entrance, carports and a lot of parking. At the back is a BIG and modern dubble storey thatcher roof 2 bedroom house. It offers 2 large bedrooms, both with in-suite bathrooms, spacious kitchen with open plan living area. Upstairs is a big loft with a TV room, study and many other possibilities one can only dream of. This property is walking distance from Akasia Primary and Theresapark Secondary schools, hospital, various shopping centers and all the main routes. Don't miss out on this stunning dwelling. 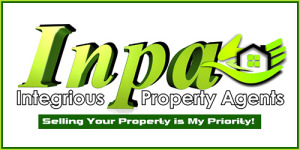 See our fb page "Inpa Properties - Pretoria North & Akasia" for other properties.